The New York Times recently ran a story on the digitization of historic Arabic language manuscript material from Timbuktu dating back to the 17th century. The digitized texts represent works of law, science, medicine and the humanities. When the digitization project is completed, scholars will have access to material that will shed light on the methods of health care and medical education practices of the sub-Saharan region (See aluka.org/). The AHC History Project hopes to shed a similar light on the health care delivery and health science education practices of the latter half of the twentieth century in the United States in order for researchers to better understand the educational practices, the relationships between funding institutions and their academic counterparts, and the areas of research focus during this time in academic medicine. Although the Twin Cities is a far away both in time and space from the Golden Age of Timbuktu, the process of promoting health care education and practice are still subjects we record in written format and will be the things we pass on to future generations both near and far. 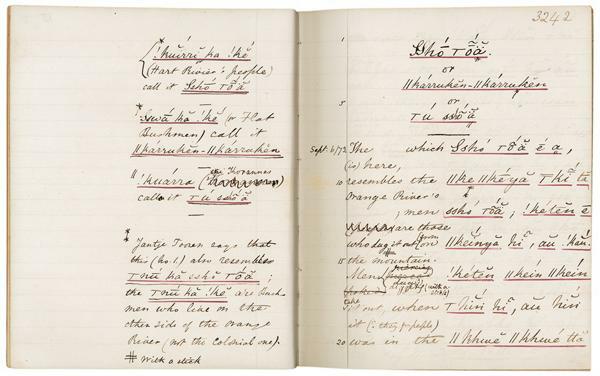 Browse a few of the most recently added digitized texts to the digital archives from the AHC archives. If the Health Insurance Portability and Accountability Act of 1996 (HIPAA) was designed to give patients more control over their medical records in the electronic age, what does it say if twelve years later we decide we’d prefer Google to manage it for us? The Google record … allows the user to send personal information, at the individual’s discretion, into the clinic record or to pull information from the clinic records into the Google personal file. The move toward online control and access to personal health information changes the previously static, analog patient record into a dynamic set of data that serves multiple purposes. Our concepts of record management and documentation might have to change as well. Most people do not walk through Fairview’s Environmental Services in the “B” corridor on the first floor of the Mayo Memorial Building. 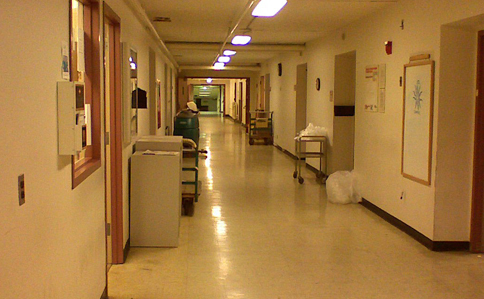 Even if they do, they may not realize that this corridor was the former home to Station 12 of the old University Hospital. They also may not realize that this section of the “B” corridor was originally the Elliot Memorial Hospital which opened in 1911. A passerby will also not know that at one time an artist, who was also a patient, painted a scene of this corridor and that it hung behind the desk at Station 12. 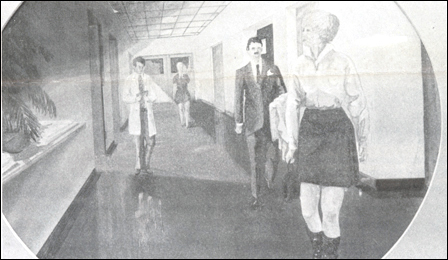 The painting depicted the patient’s view of the hallway while suffering from a detached retina. The upper left portion of the picture is shadowed from the loss of vision. I ran across a copy of this painting in a former newsletter published by the University Hospitals; however, I do not know where the original is located. It no longer seems to be hanging on the wall at the former Station 12. Yesterday, Peter Brantley of the Digital Library Federation was on campus to discuss areas of focus for future initiatives. One of those areas was the use of moving images as a source of information. Without quoting him directly, Peter discussed how YouTube has demonstrated the online use of video to communicate complicated stories through moving images. These videos are compelling and promote the passing of first hand experiences and knowledge onto an audience. A quick search of YouTube for related University of Minnesota health sciences content produced the following video that is an example of Peter’s discussion. It features prominent U of M medical researchers, Dr. Richard Bianco, Director of Experimental Surgical Services and Dr. Doris Taylor, Director of the Center for Cardiovascular Repair. Of course, not all University of Minnesota health sciences content on YouTube was of the same caliber, as is seen in this medical student film documenting student housing by mimicking the popular MTV show Cribs.